Displaying 1-30 of 229 results. 3. After adding a friend, please stay there and do not move around, we will enter your world and get to your side as soon as possible. In Fallout 76, if gamers want to play this smoothly, here are some items that they must-have. For instance, Cap, Ammo, Armor, and Weapon. Meanwhile, it would be very hard for players to collect all of these. To solve this situation, we create this website. Where to get the items that I want? You can get all kinds of different items, such as bottle caps, different kinds of ammo and different types of weapons and armors on our website with more reasonable price and better service. How to get the items that I want? You can select any item that you want or need, and then you can purchase them with a little expense, or you can also use your collectibles in the game to trade with us. Both ways are always accepted. We create this page on U4N.com is just to let our valued players get as Fallout 76 items much easier. 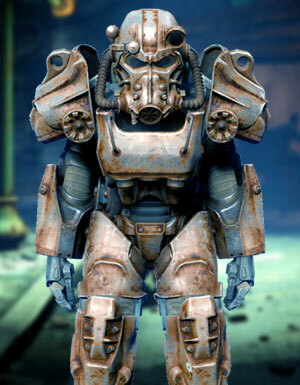 Here we provide the most affordable Fallout 76 items, weapons, armor, ammunition. Our website's safety system protects sensitive data from phishing, and the service system ensures the service we offer is timely and accurate. And the feedback we provide is to help us improve our service quality. With these systems, you can trust us and trade with us without any worries. Besides, our Live Chat is available to help 24/7. You may find our website by googling: "Fallout 76 items," "Fallout 76 weapons," "Fallout 76 ammunition," "Fallout 76 Armor" if you get to our website u4n.com, Congrats! You've come a "cost less and enjoy more" place!